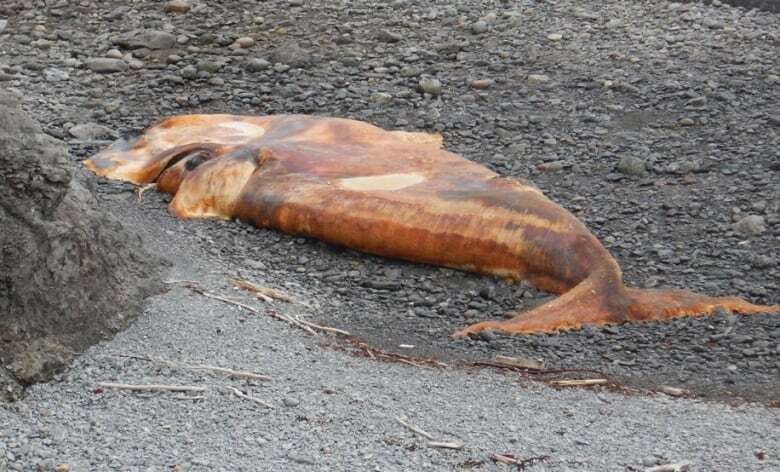 Another North Atlantic right whale carcass has washed up on the west coast of Newfoundland. 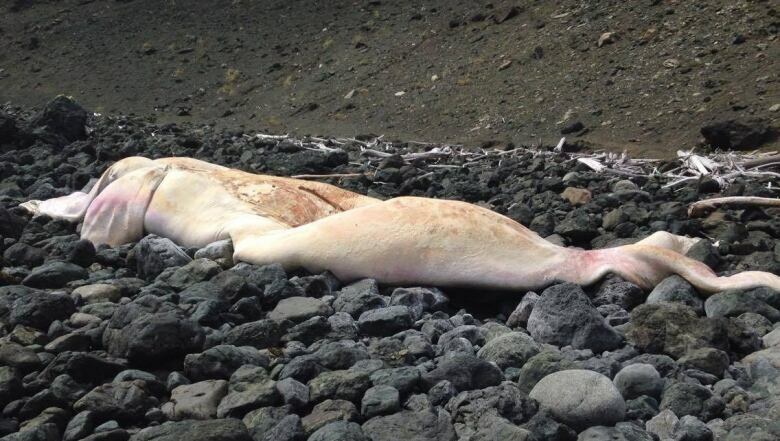 Four right whale carcasses have now been identified on the west coast of the province, bringing the number of dead right whales in the Gulf of St. Lawrence to 10. Fatal attraction: Why are so many right whales in the Gulf of St. Lawrence? 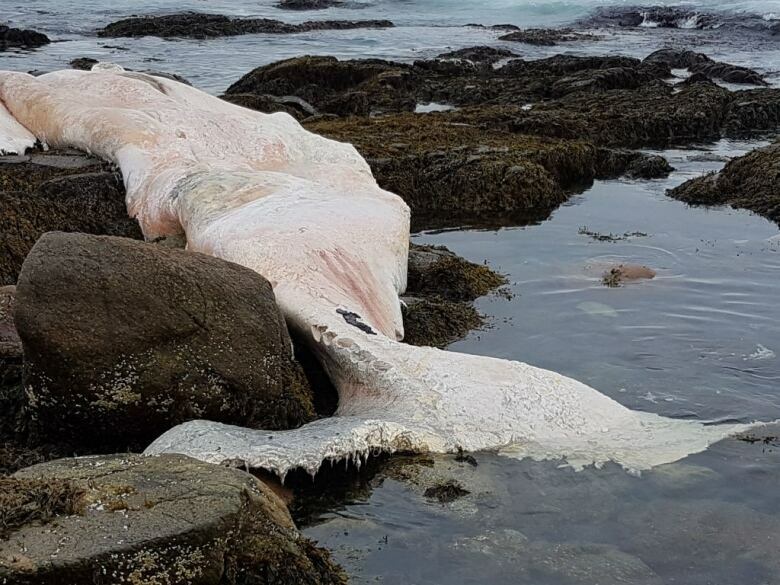 In a release sent Aug. 1, the Department of Fisheries and Oceans says "this is an unprecedented number of deaths and the situation is extremely concerning." In the release, the department said the carcass was discovered south of the River of Ponds area. Its identity was confirmed after a surveillance flight. Fisheries and Oceans says research scientist Jack Lawson and local fisheries officers are working to determine what killed the whales. In the meantime, the department is taking measures to protect right whales in the area, including surveillance flights and the closing of snow crab fishing in the area. 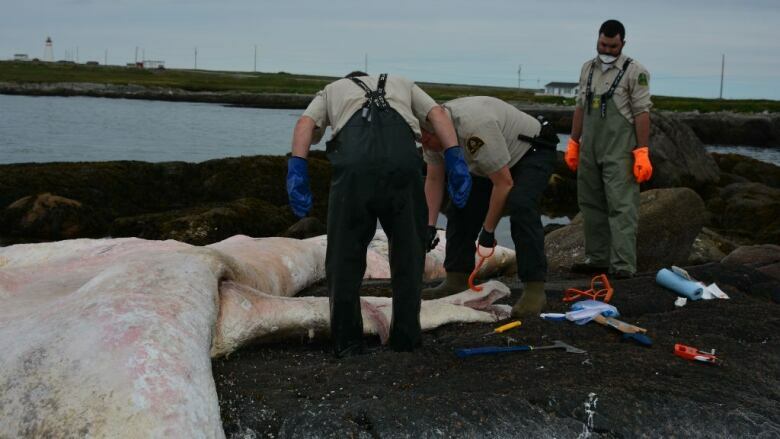 Three other whale carcasses have washed up on Newfoundland shores in Chimney Cove, Cape Ray and Cedar Cove. Lawson told CBC News last week that he estimates there are only 468 right whales in the world. Researchers in Nova Scotia think that number might be closer to 500.